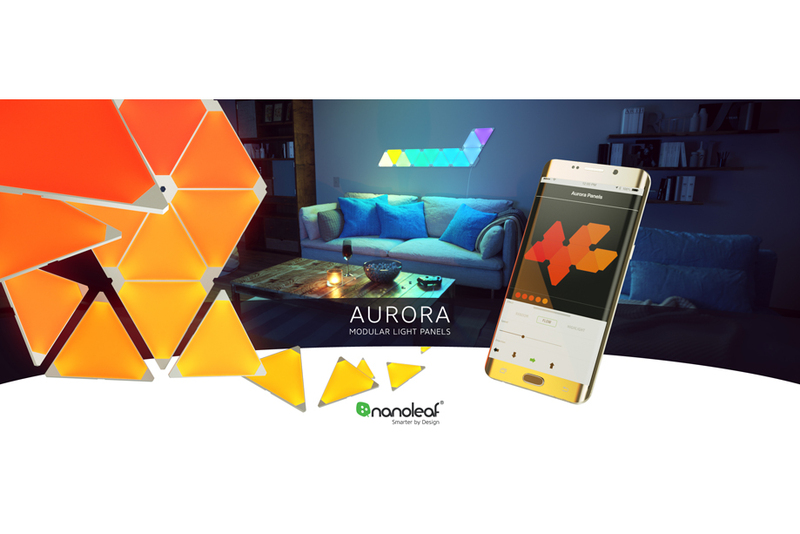 ‘Nanoleaf Aurora’ is inspired by the innate need for individual self-expression. 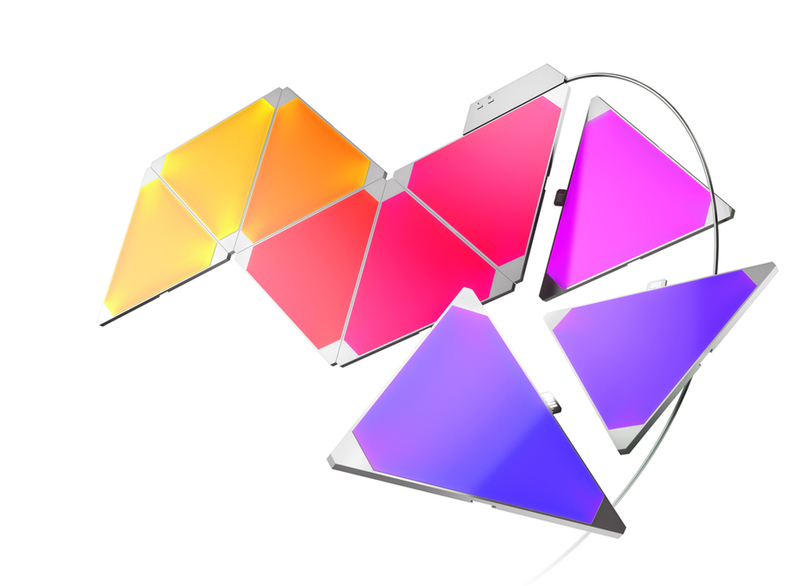 Made up of triangular light panels — both RGBW color-changing and tunable white — the Aurora is easily customizable to create the perfect ambiance in any space. Featuring as many colors as there are people in New York City, the Aurora can paint the colors of the rainbow, waters of the Caribbean, and everything in between — the possibilities are only limited by one’s imagination. The Aurora has a single power supply (plugged into an outlet) that controls up to 30 panels with WiFi. Double-sided mounting tape secures the Aurora to any flat surface while the linker pieces let you connect the panels together like LEGO, shaping the Aurora however you may imagine. 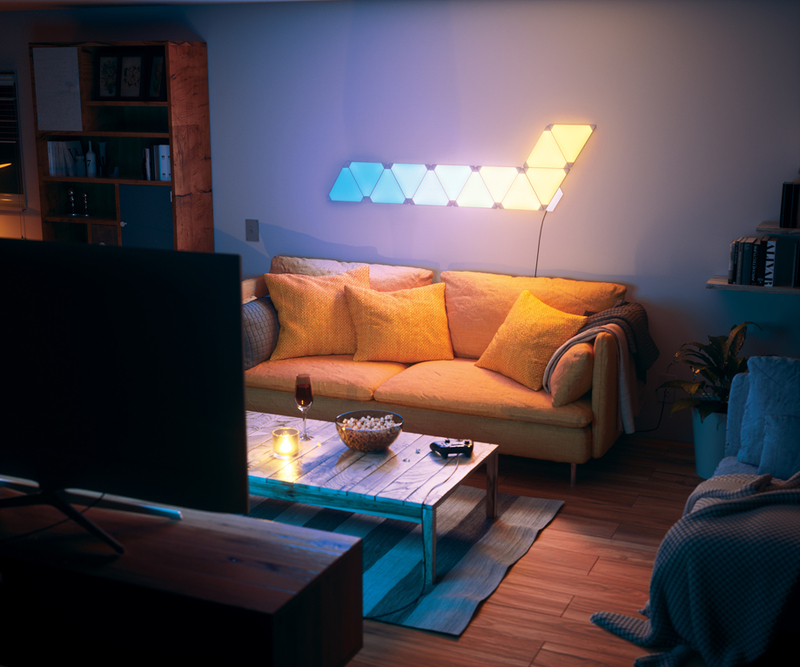 Create custom lighting animations in the Nanoleaf App, and watch them come to life right before your eyes. 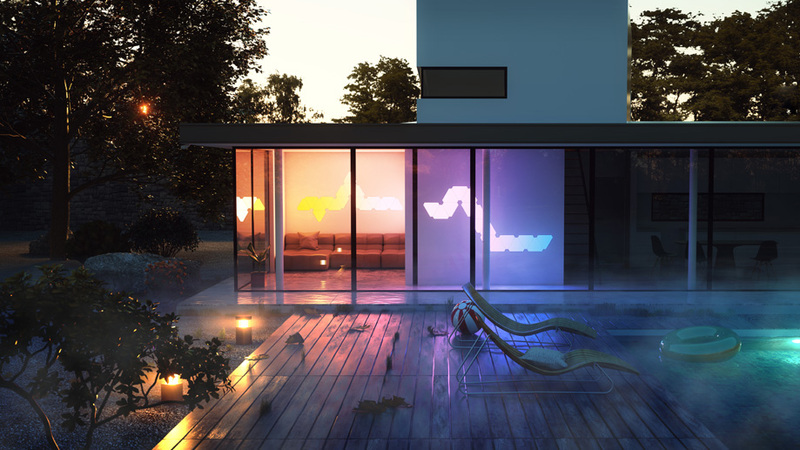 Automate your Aurora to simulate the sunrise in the morning. Turn on the calming greens and blues when you need to de-stress for the day. Set the mood for when you’re feeling a little frisky. 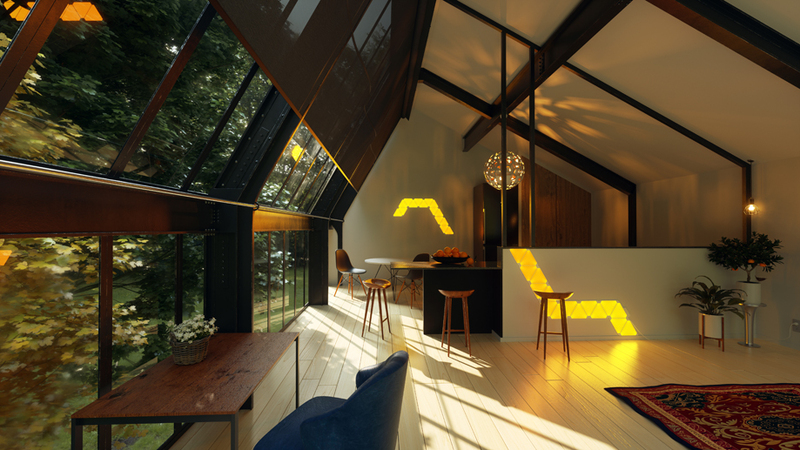 Whatever ambiance you need, there’s an Aurora light scene for that. Push the boundaries for personalization even further by setting time triggers and seamlessly controlling the Aurora with your voice.